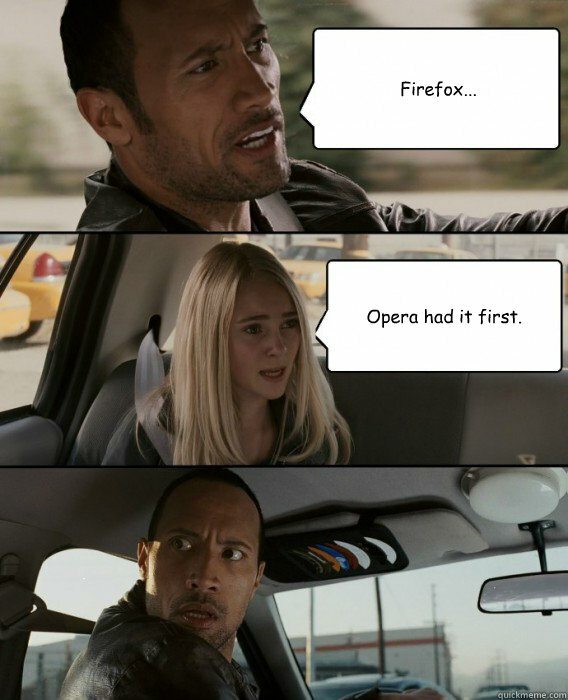 I think it’s fair to admit that I am a secret Opera Software fan, especially on their ability to deliver many of the browser innovations (Opera had it first!) we see today and relative independence within the browser arena. Yet, recently, posts are popping up, revealing inconvenient truth of the inner-working of the company, and confirm the reasons behind it’s rational move to Chromium. As a public trading company, it have grown increasingly intolerant to products that is unable to bring in new revenue. The company have also known for underpaying it’s loyal employees, substituting salary with a “vision of achieving greater good”. And maybe, just maybe Mozilla is an environment where ideas are still kings..? I sincerely hope the above notion describing Mozilla is true, and stay true in the feasible future. This entry was posted in Internet and tagged Planet Mozilla, Planet MozTW. Bookmark the permalink. Share the short link. I didn’t know Hallvord was joining us. That’s beautiful … and sad.